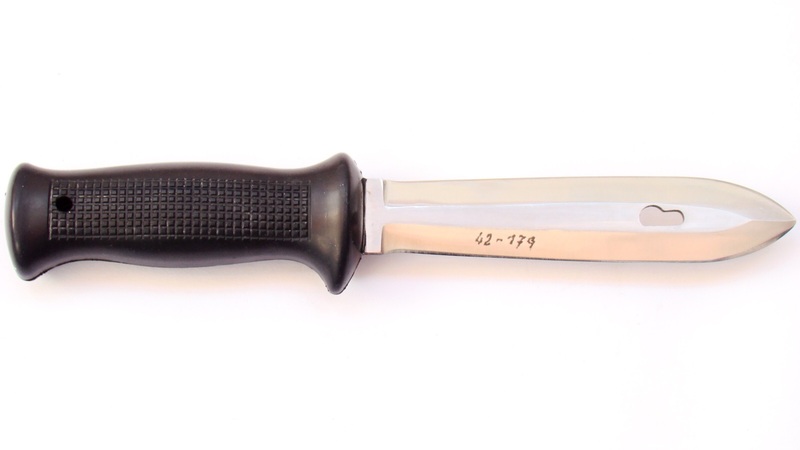 This first type of prototype was made in 1974. 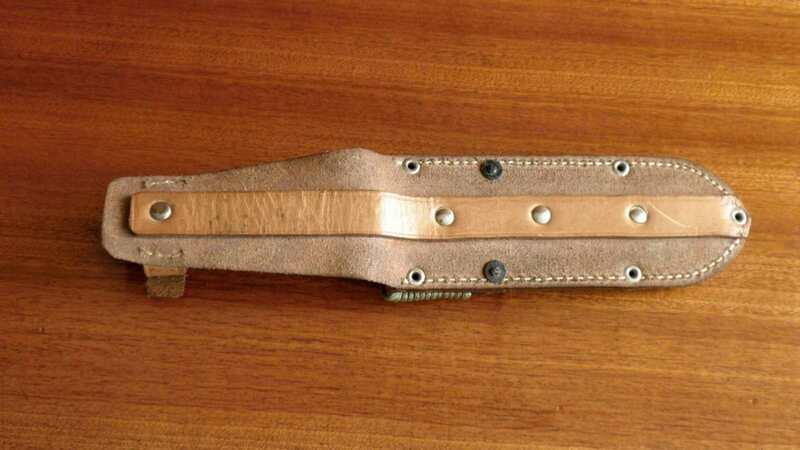 The knife has no marking. 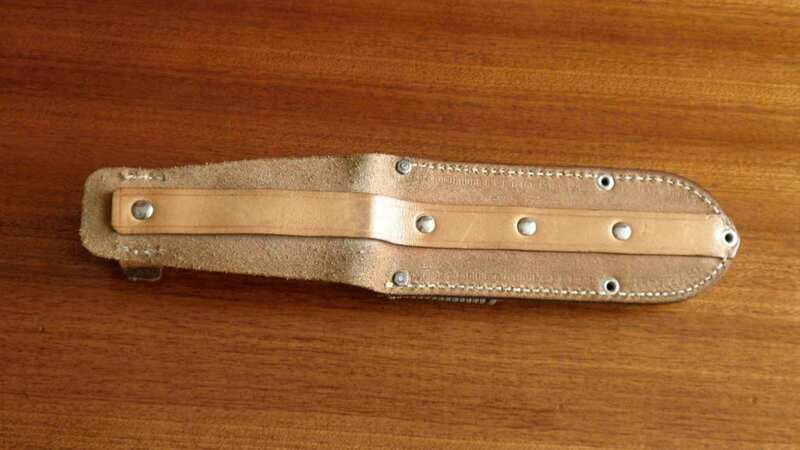 The blade is two-edged, teardrop shape with a central pike. 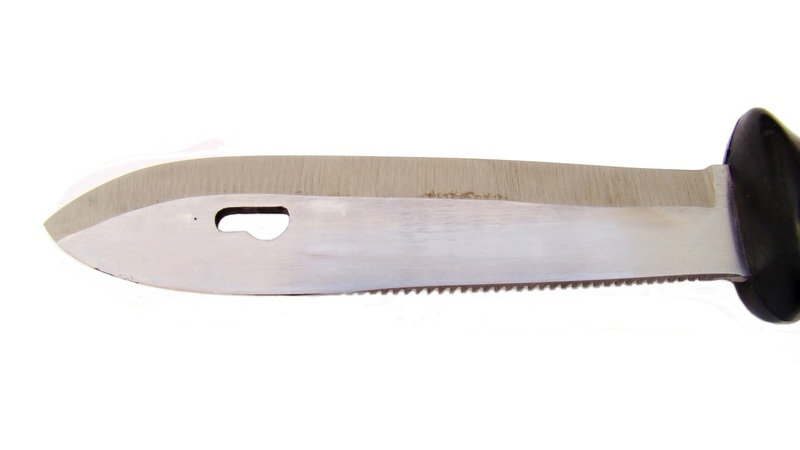 On the top of the knife-edge is a “saw”. 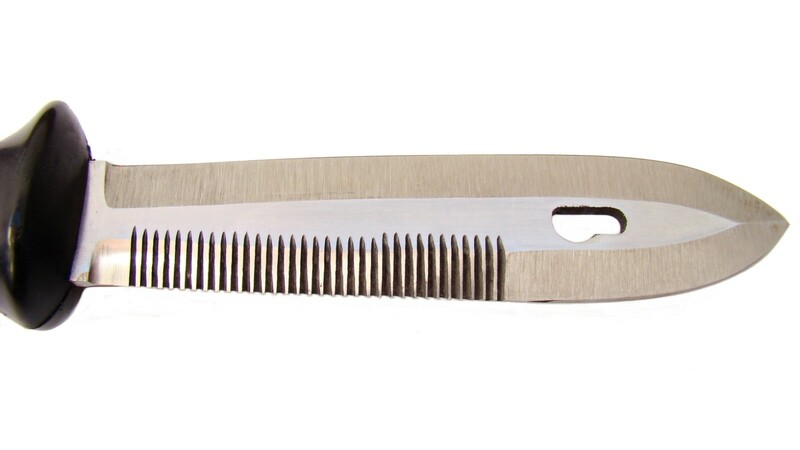 In the middle of the blade is a gap into which they inserted a metal pin, which is located at the end of the sheath. 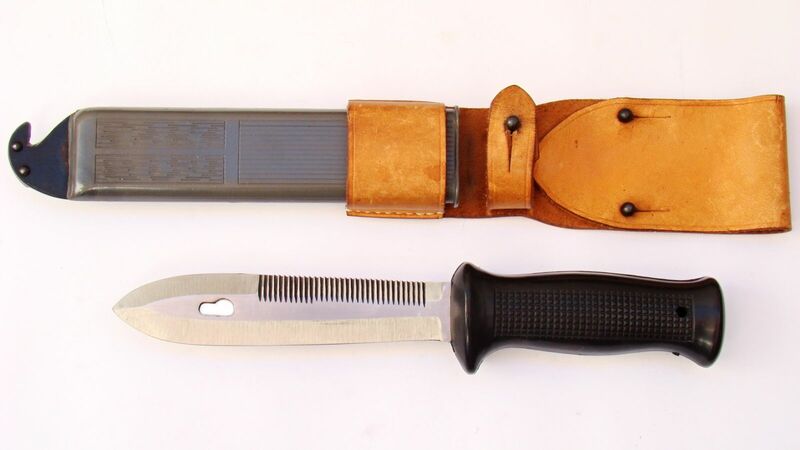 This connection of sheath with the knife was probably for cutting wires, as it is in case of Russian bayonets. 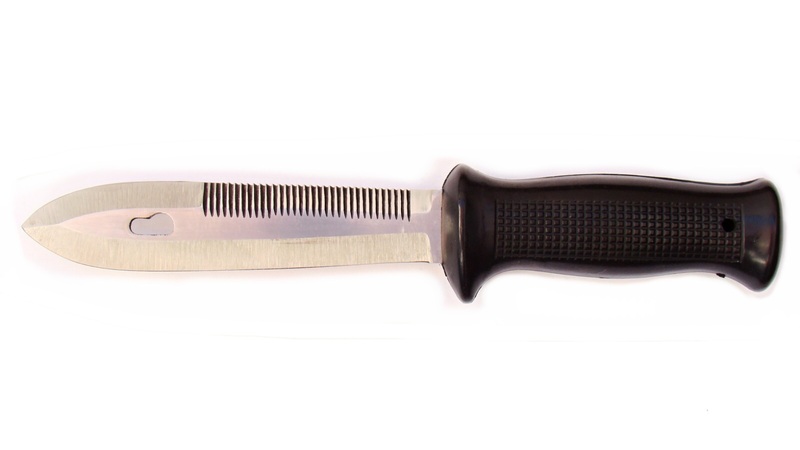 There are no marking on this knife and the handle is the same as established uton. Čepel je dvoubřitá, kapkovitého tvaru se středovým hrotem. 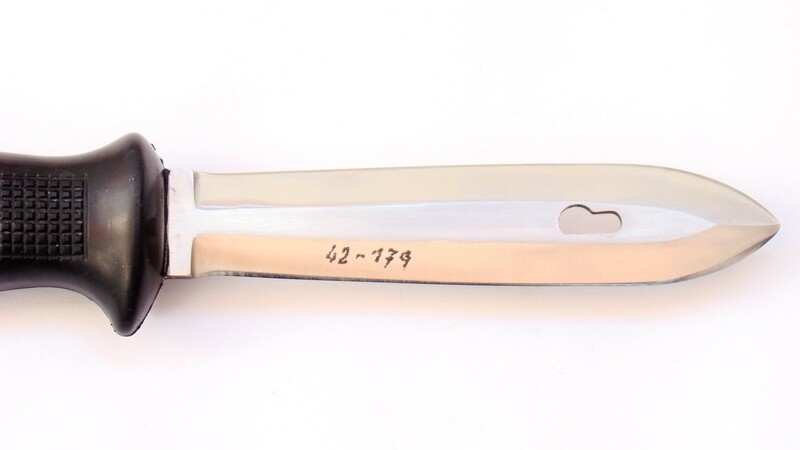 The blade is two-edged, teardrop shape with a central pike. 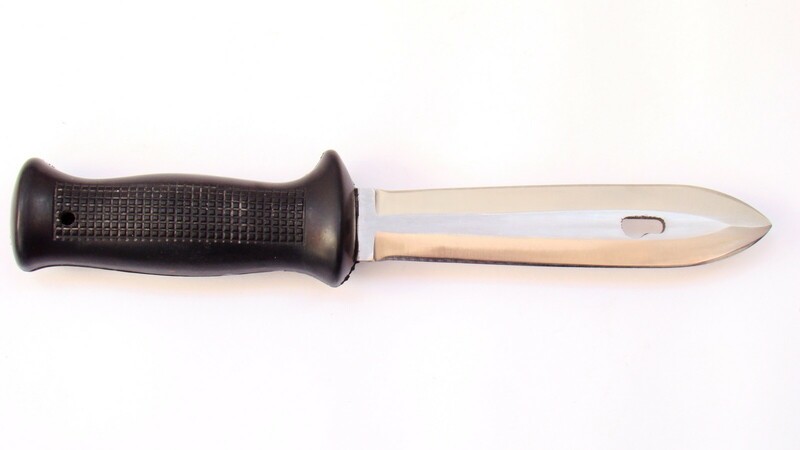 In the middle of the blade is a gap. 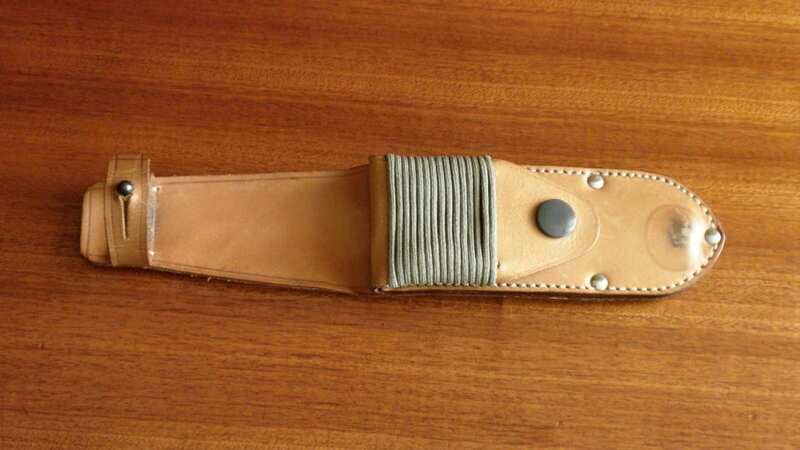 The plastic sheath was designed to prototype for recon unit. 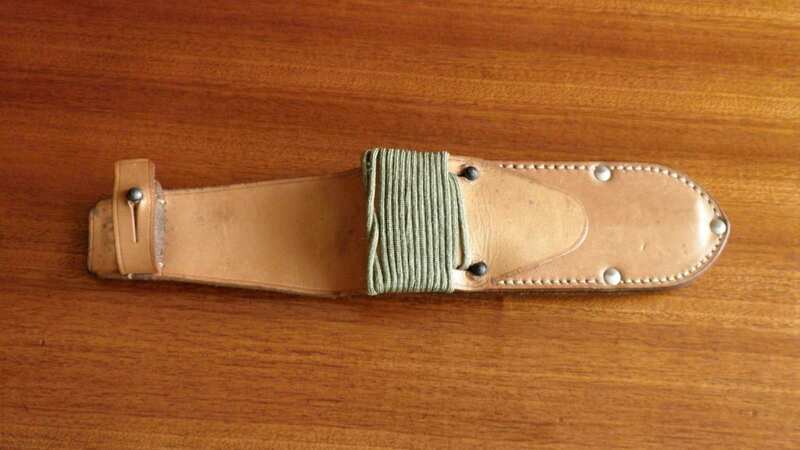 Leather sheaths for the prototype were designed to prototypes for pilots.